1851 – 1867 - Studied in Tarnovo and at the Medical School in Istambul. Teacher in Ruse, Varna and Targovishte. 1862 - took part in the Tarnovo Uprising. 1876 - took part in the April Uprising and the war between Serbia and Turkey. 1878 – 1885 - Mayor of Tarnovo and District Governor of Sofia. Headmaster of the Girls' Secondary School in Varna and district school inspector. Active member of the Liberal party. 1879 – 1886 - MP in all the National Assemblies during the period. 1885 – 1894 – Deputy Speaker and Speaker of the Fourth National Assembly, Speaker of the Third Grand National Assembly and of the Seventh National Assembly. 1886 – 1887 - Minister of National Enlightenment in Dr. Radoslavov's Cabinet and regent of the Principality of Bulgaria after the final abdication of Prince Battenberg. 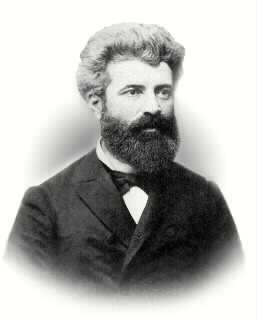 1887 – 1893 - Minister of Enlightenment and Head of the Ministry of Finance in Stambolov's government. Organized the first course in pedagogy at the Higher School.